(From Wikipedia ) Coral Castle is a stone structure created by the Latvian American eccentric Edward Leedskalnin (1887-1951) north of the city of Homestead, Florida in Miami-Dade County at the intersection of South Dixie Highway (U.S. 1) and West 157th Avenue. The structure comprises numerous megalithic stones (mostly limestone formed from coral), each weighing several tons. It currently serves as a privately-operated tourist attraction. 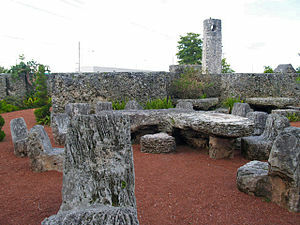 Coral Castle is noted for urban legends surrounding its creation that claim it was built single handedly by Leedskalnin using magnetism and/or supernatural abilities. I have heard some strange stories and this is one of them. The mystery of the Coral Castle isn’t just about the place itself, but the man who built it and how it was constructed. Perhaps his story begins when he was left at the altar just one day before his wedding when he was living in Latvia. Her name was Agnes and she was only 16 years old. Depressed and heartbroken, he left for America but became terminally ill with tuberculosis. Miraculously and like an episode of Syfy’s Haven, he claimed to be healed by magnets which had a weird effect on his disease. In 1923, Leedskalnin built the castle he called Rock Gate Park in Florida City, Florida. He chose the location because it was out-of-the-way from other houses or businesses. It took him over 28 years to build the castle being very secretive about how it was constructed and doing most of the work himself. In 1936 when lots of development surrounded his home, he decided to move and take the castle with him. He moved 10 miles away to Homestead, Florida where it took him over three years to move the edifice. He used coral pieces on the newer portion of the castle. When asked why he built the castle, he would answer it was for his “Sweet Sixteen”, more than likely referring to Agnes. The castle is an amazing structure and is constructed of coral and oolitic limestone. The grounds have about 1,100 tons of stones used in walls, carvings, furniture and the castle tower. Each of the stones are secured without any mortar using the weight of the stones and precise carvings to keep them together. Throughout the 8 foot wall no light passes through between the stones. Even Hurricane Andrew couldn’t move the stones and knock down the walls down. Leedskalnin would give tours around his unusual castle charging the visitors ten cents a head. The first thing tourist see is his carved signs. One says, “Ring Bell Twice” with the next one saying, “Adm. 10c Drop Below”. 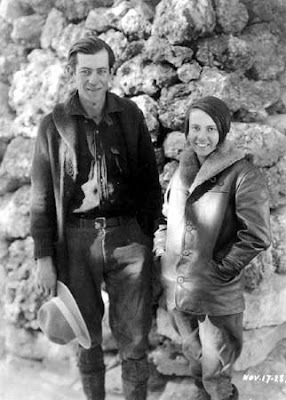 He continued to work on the castle and its grounds until he became ill in December 1951. To let visitors know he was gone he put a note on the door which read, “Going to the Hospital”. He hopped a bus to the hospital and was diagnosed with terminal stomach cancer. He died three day later. 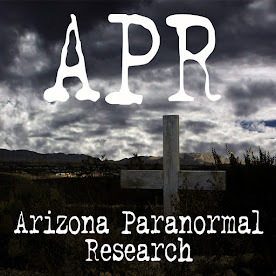 When they investigated the castle after his death they found $3,500 in cash he probably made giving tours, selling pamphlets, and selling part of his 10 acres for the construction of a highway. 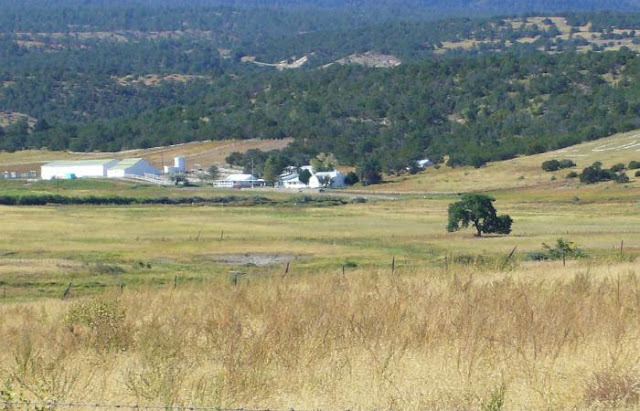 Because of no will, he closest relative, a nephew named Harry, became the property’s owner. In 1953, Harry sold the land and castle to a retired jeweler from Chicago, Julius Levin. There are other reports which state Levin bought the land from the state of Florida in 1952 and had no idea the castle was on it. 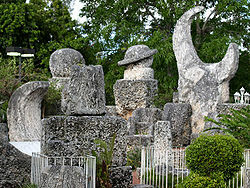 He renamed the castle Coral Castle and also had tours given for the many curious visitors. He sold the place in 1981 and in 1984, the property was listed on the National Register of Historic Places. There are claims that Leedskalnin built this mystifying castle using an unidentified type of science. But without any kind of analysis by engineers or scientist or photographic evidence, there is no way to prove his technique. Many feel he just used the old fashion block and tackle method. 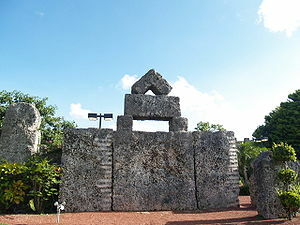 The Coral Castle site states that “if anyone ever questioned Ed about how he moved the blocks of coral, Ed would only reply that he understood the laws of weight and leverage well.” He also stated that he had “discovered the secrets of the pyramids”, which of course could be interpreted in either esoteric or engineering terms. Don't forget the 9-ton gate so perfectly aligned it can be opened by a child! Amazing! There is an old photo of him with a block and tackle set up that included a "mysterious" box at the top. This is a fascinating tale. Bubba--I didn't read about the gate. That is awesome. MM--I love myterious stories like this and would like to visit the place. I need to see this place and feel it. I suspect I could get a sense for the paths he walked, what was on his mind, and how and why he did it. Sis--sounds like a road trip to me. Justine--I love all those strange homes. Thanks for the website. Ooooohhhh...I just loved this one! Sounds like a place I would love to visit. I love mysterious places like this. 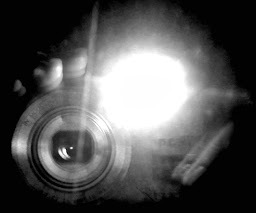 I wonder often about the complex mind of the human and how we create. This is proof of just that. Even if old Ed had only a 4th grade education, the human mind is a very powerful thing. Put enough thought into anything and you are sure to accomplish it! This is so amazing! Thanks for introducing me to this place of magic. Why would a hurricane wish to try to destroy such beautiful work? I'd have put Hurricane Andrew in a timeout! It is beautiful and the backstory makes it so much more intrigueing. This is a place I'm dying to visit! I read something about the gate breaking down. Engineers brought in to fix it said the construction techniques were ingenious.